The PMC4 motion controller is used in many applications, one if them is ProCut. 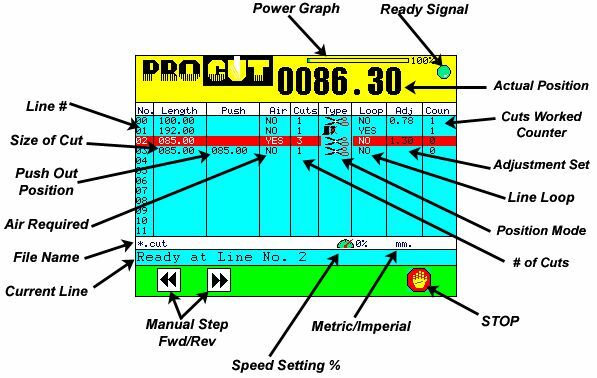 ProCut is an application designed for paper and metal cutting guillotines, it allows the operator to enter a cutting list via user friendly menus. 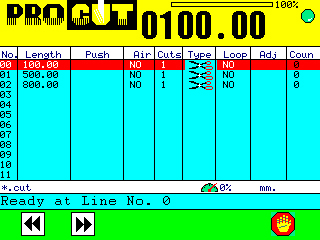 ProCut has automatic features that make cutting lables and strips easy and quick to use, via dedicated menus. The basic system uses the machine's original motor which is controlled by a flux vector inverter. Inverters provide a lower accuracy and performance than servo motors, but at a lower cost. 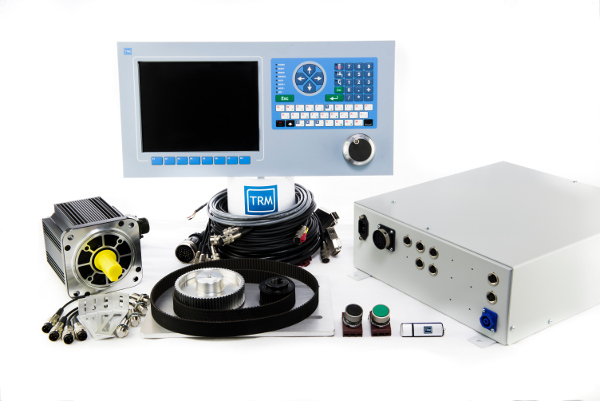 The kit contains a controller, inverter, cables, break out boards, an encoder, Start/Stop buttons, proximity switches and mounting brackets. Inverter based ProCut Kit: This kit uses the original motor and pulleys, this is more difficult to fit than a servo kit, but more cost effective. 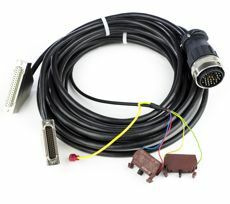 This kit requires the included encoder to be installed on the machine lead screw. The retrofitted machine is likely to be a lot more accurate than the original machine, however this requires the installer to adjust the inverter settings correctly. The DC servo, offers a replacement for the machines existing AC motor and control replacing them with a precision servo. Servos offer high accuracy and good performance. 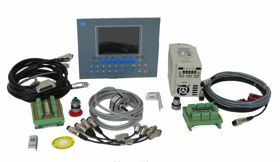 The kit contains a controller, electrical box, DC servo motor, motor mounting bracket, cables, Start/Stop buttons, proximity switches, belts\pulleys and mounting brackets. 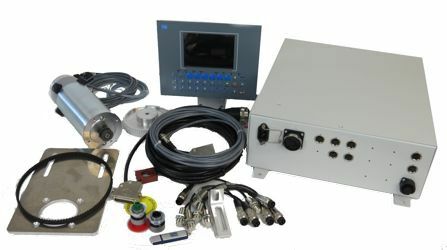 ProCut DC Servo Kit: The ProCut DC servo kit includes almost every thing needed to install a ProCut back gauge system on a guillotine, new or old. The controller can be installed in the front of the machine or there is an optional "Pod" that makes mounting the controller simple and easy for the operator with an adjustable mounting arm. The DC servo motors offer very high accuracy and good performance. The Brushless servo, offers a replacement for the machines existing AC motor and control replacing them with a precision AC servo. Brushless Servos offer high accuracy and good performance. The kit contains a controller, electrical box, servo motor, motor mounting bracket, cables, Start/Stop buttons, proximity switches, belts\pulleys and mounting brackets. Brushless Servo ProCut Kit: The Brushless servo ProCut kit includes almost every thing needed to install a ProCut back gauge system on a guillotine, new or old. The controller can be installed in the front of the machine or there is an optional "Pod" that makes mounting the controller simple and easy for the operator with an adjustable mounting arm. The Brushless servo motors offer very high accuracy and very high performance, making the machine fast and accurate. 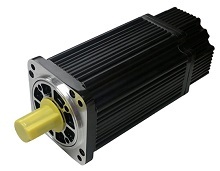 There are a range of motors from 800 Watts to 2.5 Kw. The PMC4 is a motion controller with a full PLC. 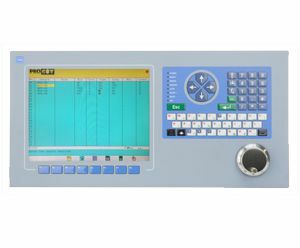 This controller is capable of very high accuracy and when running the ProCut software brings new life to old guillotines and for new machines cost savings, safety, and reliability. Operator comfort is assured because of the clear screen and easy to use compact keypad. The compact size of the PMC4 makes it easy to mount the controller either in or out of the machine front. Larger machines need a larger screen and the 10.4" screen is clearly readable even on a large machine. 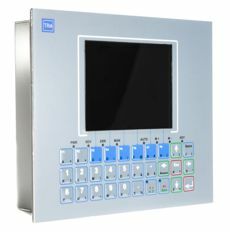 The PMC4 large screen controller has a full QUERTY keypad and built in hand wheel jog encoder to facilitate small cut corrections. This controller is designed to be easy to mount in the front of the machine, the thickness of the controller is around 50mm. Part of a complete service is the provision of a fit and forget service. 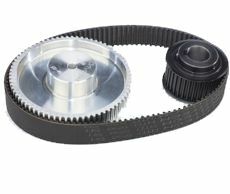 ProCut is supplied with Motor Mounts, belts and pulleys which can be supplied ready machines to suit the client application.